This monotype is the 2nd in a series of Basset Hound puppies. Experimenting with taking a pastel drawing and creating a monotype version to form a looser style. 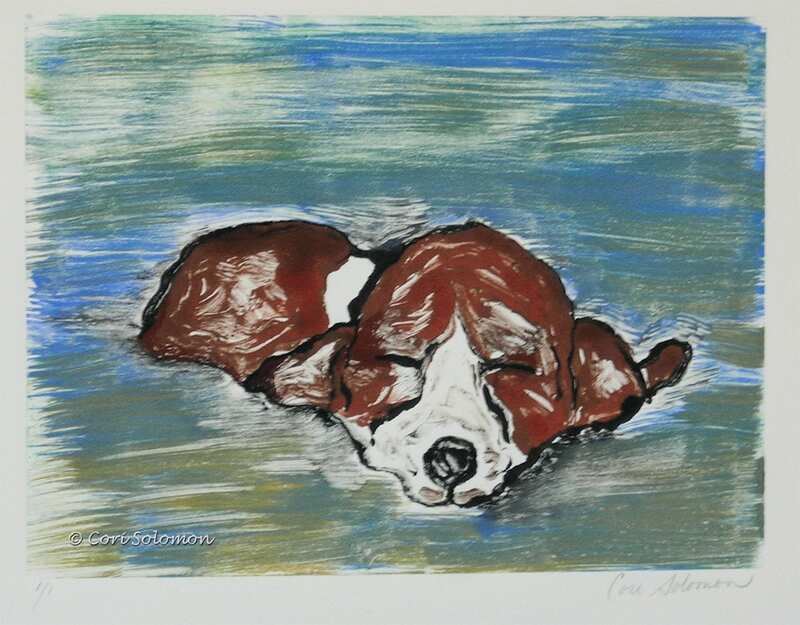 To purchase this Basset Hound hand pulled print email Cori.